Ladies & Gents please let me introduce to you Luke Leighfield. Not another young singer/songwriter I hear you call. Well, yes... but actually this 24 year old isn't just going to fall into that common style and category quite so easily. On his latest album New Season Luke really tries hard not to slip into that typical singer/songwriter acoustic-guitar based genre. Read More Ladies & Gents please let me introduce to you Luke Leighfield. Not another young singer/songwriter I hear you call. Well, yes... but actually this 24 year old isn't just going to fall into that common style and category quite so easily. On his latest album New Season Luke really tries hard not to slip into that typical singer/songwriter acoustic-guitar based genre. Luke isn't new to the music scene and his CV boasts a very busy and hectic time. The past five years have seen him release three albums, play over 650 shows in fourteen countries around the world (including recent tours of China and Russia), release a greatest hits album in Japan and China, record live sessions for Radio 1 and Xfm, appear at Latitude, The Great Escape, Greenbelt and 2000 Trees festivals, and share stages with the likes of Scouting for Girls, Kate Nash, Fun., Frank Turner, William Fitzsimmons and Joshua Radin. His music has also been featured on television shows including Football First (Sky Sports), Made in Chelsea (Channel 4) and Coming of Age (BBC 3). Not bad eh? The album opens in a soft slow way, I've got to admit I wasn't expecting this, with a beautiful piano and great melody, which is a great way for any album to start. I love the title track of the album, New Season, especially the guitar solo at the end. The whole song has a great sound to it. I have admit there were a few bands that I thought it sounded similar to, I could hear influences of Weezer, Snow Patrol and Ben Folds Five. 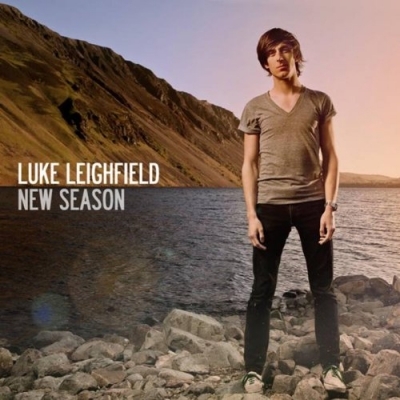 Luke Leighfield describes himself as 'feel-good, DIY, orchestral pop-rock' and actually that isn't far wrong. This comparison comes through during the amazing 'It's You', which has guitars, orchestral sounds and a big theatrical edge to it, but overall it's a really catchy little number. The same could be said for many of the songs on the album actually, particularly The One Thing. The more and more I listen to this album, the more I can hear Ben Folds influence on it. I loved Ben Folds Five in the 90's, so hearing this album really brought back some good memories. Actually I wasn't expecting this album to sound anything like it does, and that is what makes it so great for me. Songs like 'Whispering' and 'Time' are just great songs and Luke should be commended for them. Closing track Do Not Settle has a truly beautiful opening piano-led part. Trying to add a bit of grit to this ballad Luke lets his electric guitar burst into life with feedback and distortion, with clanging drums taking this song from a soft start into an epic powerful ending to the album. At times this album is very indie, very rock/pop, very lo-fi, and very 'dirty' sounding. Again, as said, this is what I like most about the album. It's not over polished and that is where the beauty of the songs hide. Luke Leighfield is a talented man, and another great find. I would highly recommend having a listen yourself and see if you think that Luke might be your kind of indie artist. He mixes great melodies with interesting arrangements where you never know what is going to come next.